The Olympic Games launched a truly integrated marketing campaign last week. 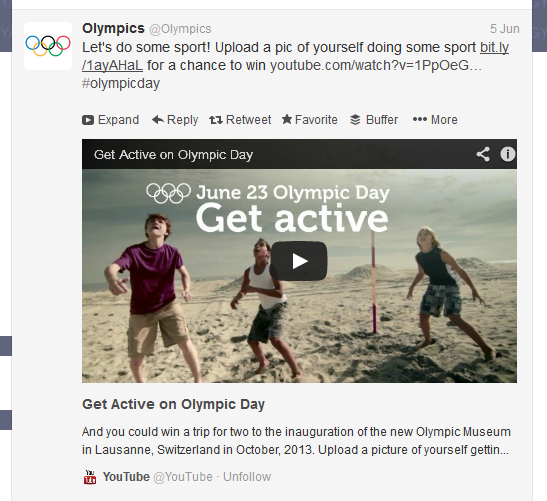 The campaign promotes “Olympic Day” and utilizes various social networks as well as the Olympic Games’ official website. Olympic Day is held around the world. Its purpose is to promote the spirit of the Olympic Games, such as encouraging everyone to get active. People are even invited to participate in activities hosted by the Olympic Committee in over 150 countries across the world. June 23rd marks the sixty fifth year of the event. 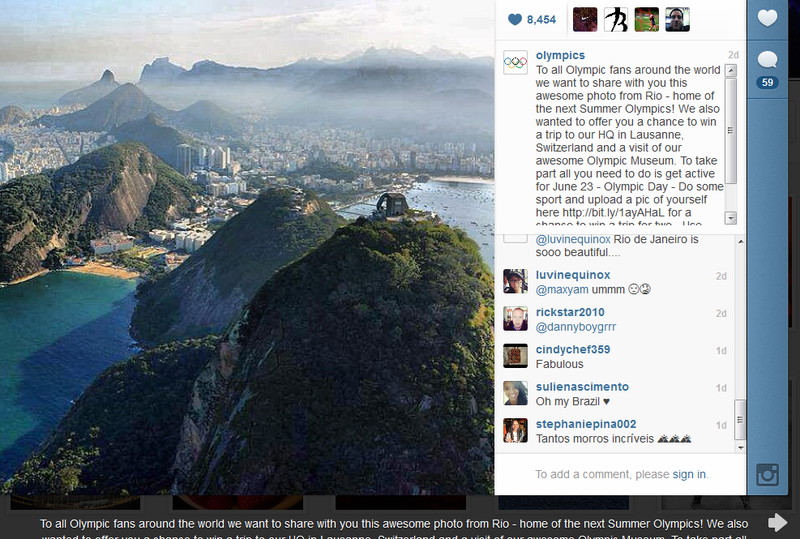 The campaign is being used to generate buzz and awareness of the 65th anniversary of Olympic Day. At the core of the campaign is a contest to win a trip to the Olympic Museum in Switzerland. Participants are asked to submit photographs of themselves being active, such as playing a sport or taking part in a hobby. The best entry as judged by the committee wins the trip. The campaign centers around the social network Facebook. This is where participants submit their photographs for a chance at the prize. Multiple social networks are being used to drive awareness. The Olympic Games has used Twitter to send out tweets letting followers know about the contest, and the tweets link directly to the Facebook entry form. Tweets are centered around the #olympicday hashtag. 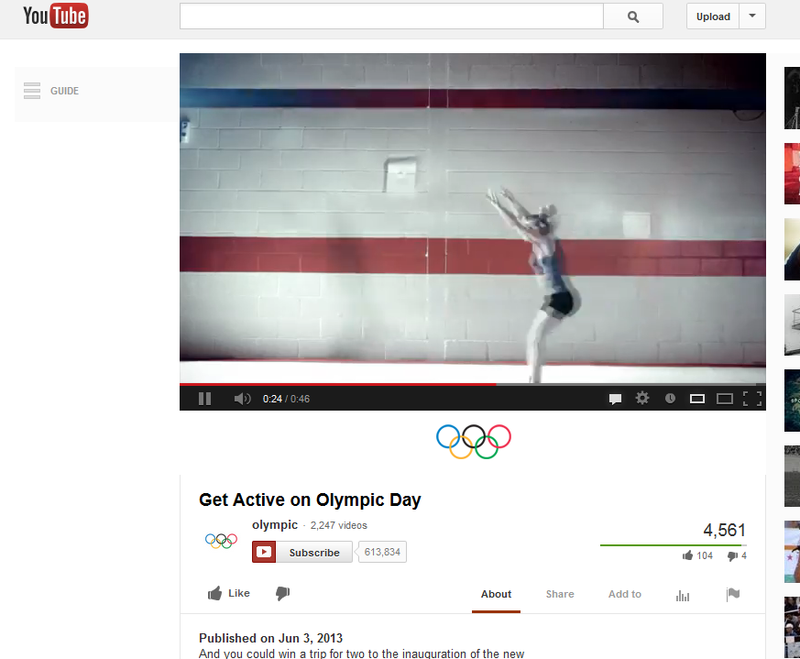 The tweets even link to videos about Olympic Day on YouTube. Photo social network Instagram is also being used. 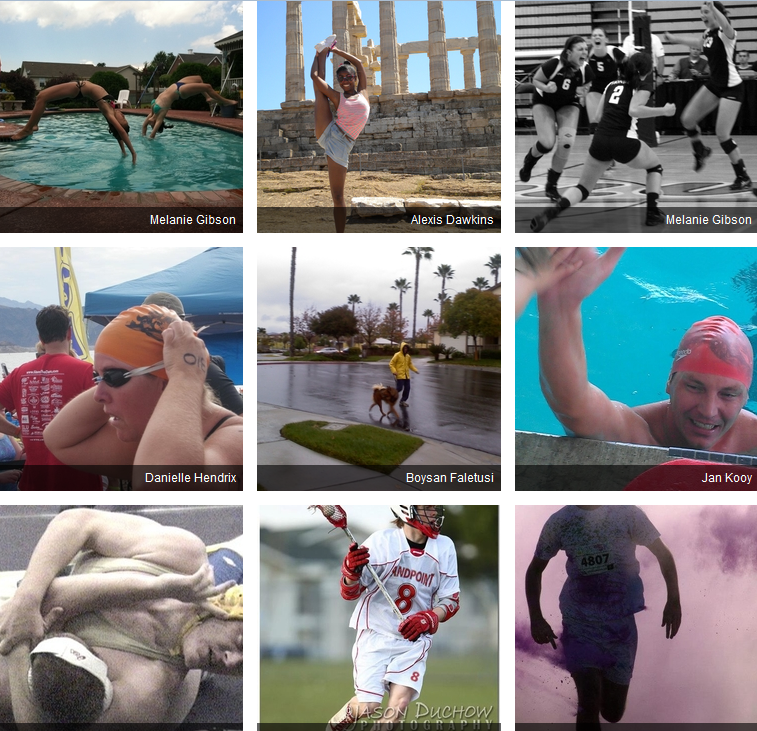 Photographs the Olympic Games share include a summary of Olympic Day and a link to the contest on Facebook. 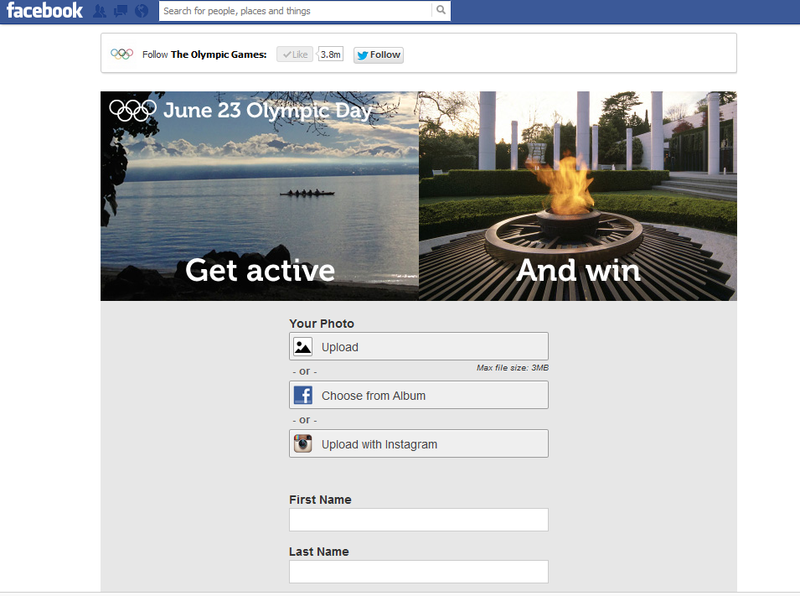 The Olympic Games’ Facebook page is also directly promoting Olympic Day, with posts and timeline photos being updated to reflect the campaign. Finally, the Olympic Games’ official website serves as a major hub for the campaign, providing a rich amount of content, including the history behind Olympic Day, a map and gallery of entries, and links to events. 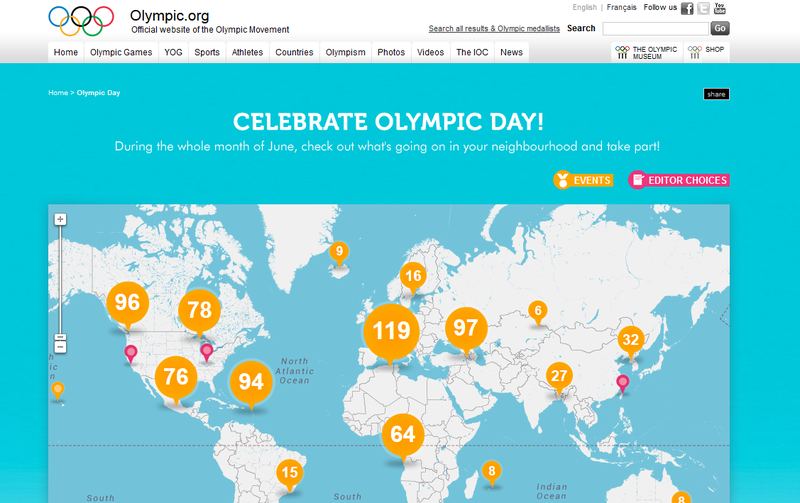 The Olympic Games website is rich with content about Olympic Day, even displaying a map with all of the entries. The online gallery displays contest entries. The Olympic Games displays its marketing smarts with this incredibly integrated marketing campaign. The Olympics doesn’t just use various marketing channels to drive awareness and contest entries, they tie them all together. A great example is how Twitter uses video assets on YouTube. Both social networks have specific followings. It is likely followers on Twitter and followers on YouTube are slightly different. Driving Twitter followers to YouTube means increased exposure for these videos. This means increased brand recall, contest participation, and growth of the Olympic Games on YouTube for future communications. The idea is just as applicable to the other social networks utilized. Finally, many brands focus most of their attention on social networks now. In a way, it makes sense, as this is where many online users are. However, many users on social networks aren’t responsive to lengthy content- sometimes they’re even limited to 140 characters. 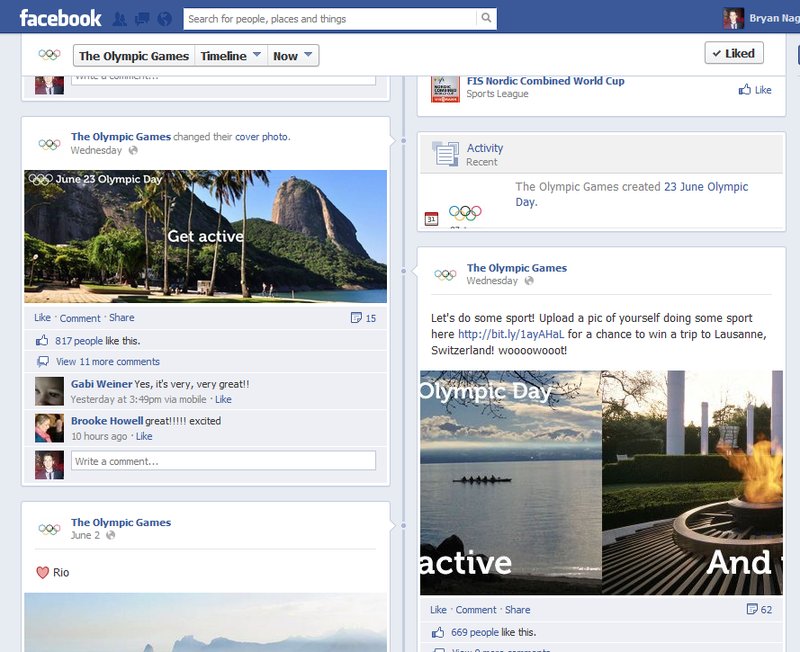 Additionally, for a global brand like the Olympics, these social networks aren’t always available. This means some content must live elsewhere- like the Olympic Games official website. It is a smart move by the Olympic Games to broaden its marketing reach and increase the chances important content about Olympic Day is digested.